Queen’s Suite. All photos courtesy of Verride Palacio Santa Catarina. 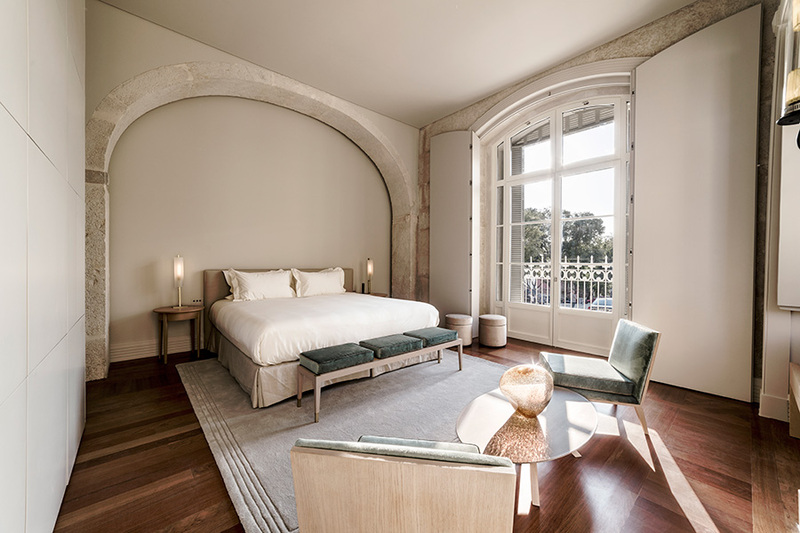 A stunning new boutique hotel opens this month in Lisbon. Fathom editor Berit Baugher checked into Verride Palacio Santa Catarina. LISBON - One of the perks of being a travel editor is the occasional stay at a new, yet-to-open hotel, which I did on a recent trip to Portugal. 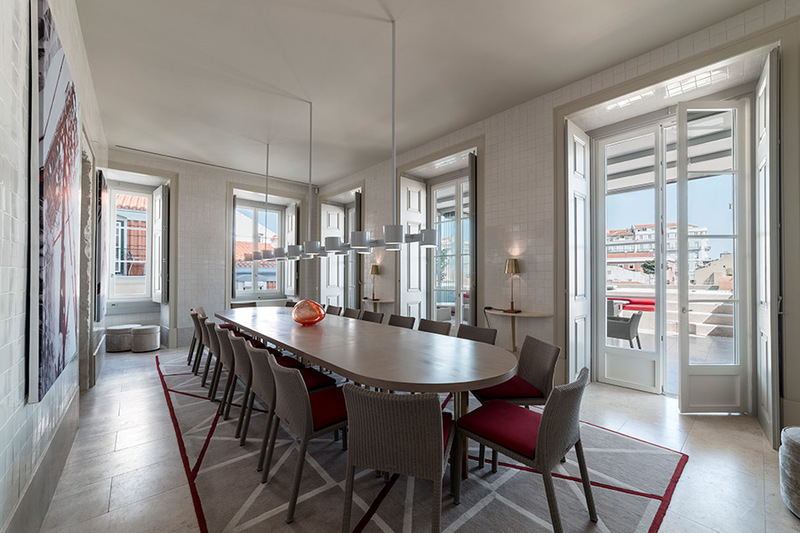 Those familiar with the Lisbon hotel scene know the city isn’t short on great accommodations of the indie or luxury variety. What it doesn’t really have are hotels that meld the two qualities. 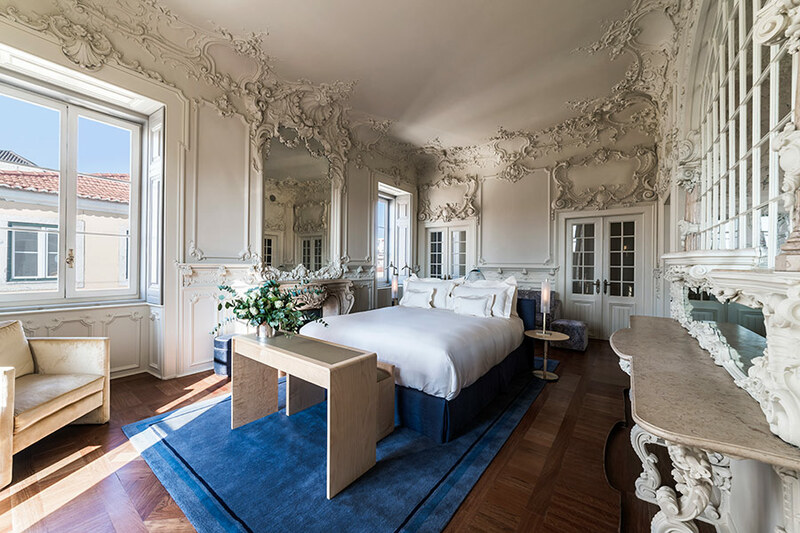 Verride Palacio Santa Catarina is a glamorous 18th-century palacio-turned-boutique hotel on the edge of centrally located Chiado. 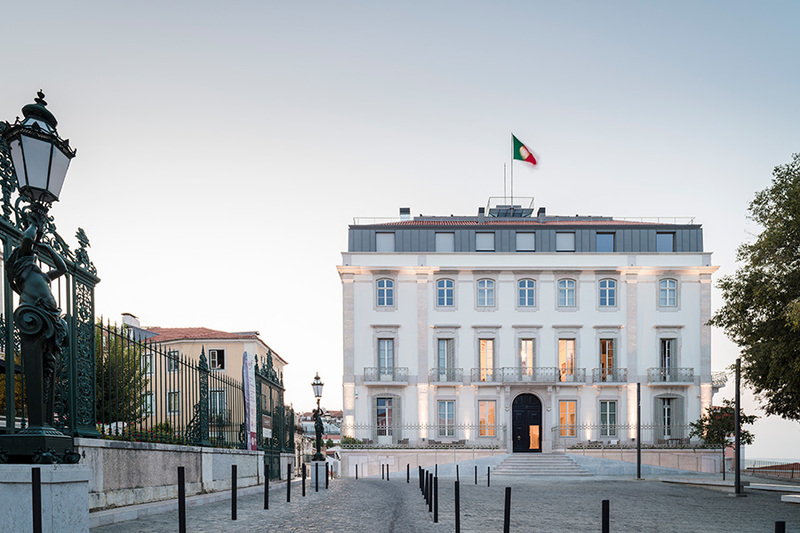 Originally the home of a Portuguese count, the building has cycled through various incarnations, including that of a bank and a pop-up art festival. 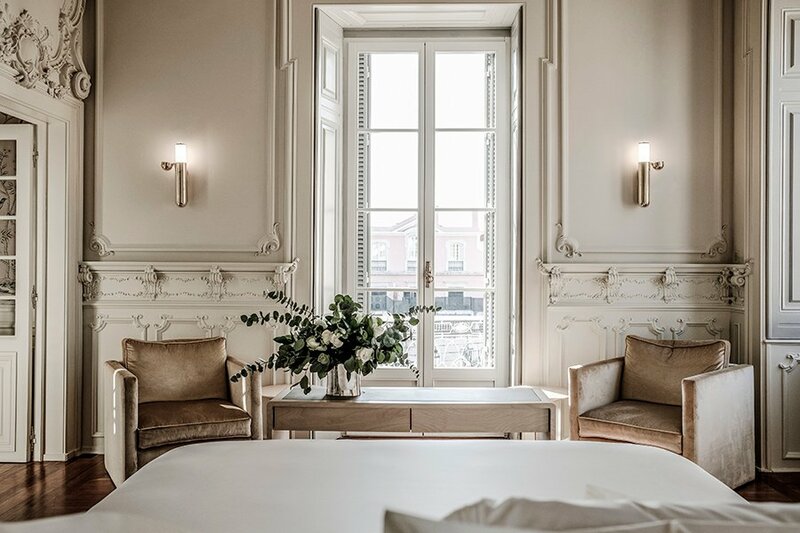 This month, the townhouse reopens as an elegant hotel blending classical Portuguese architecture with sleek, modern decor. 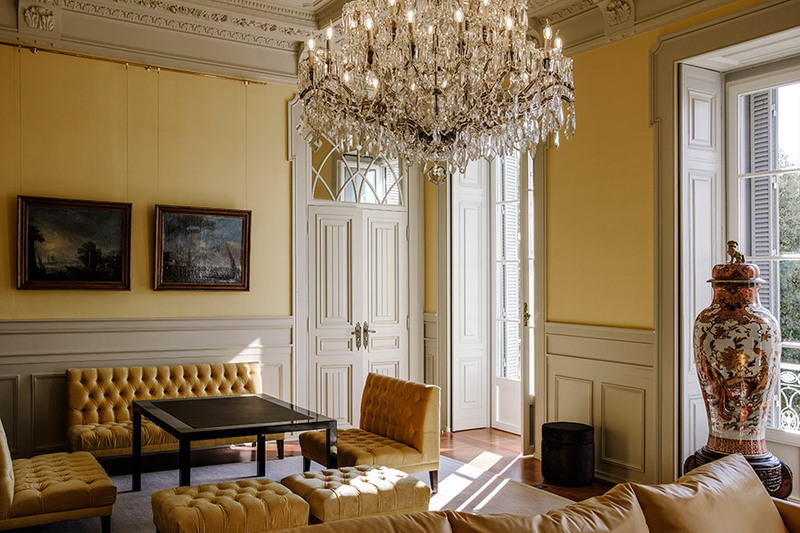 The Dutch owners and first-time hoteliers worked with well-known architect Teresa Nones da Ponte and interior designer Andrea Previ to restore and rejuvenate the building, transforming it into one of Lisbon’s most stunning historical properties. The nineteen guest rooms use a mix of materials to create a warm and sophisticated environment. Much of the decor is neutral in color — from the pale gray marble and cream-colored Egyptian cotton towels in the bathrooms, to the light wood desks and rattan chairs. In my Deluxe Suite, pops of blue and purple appeared in the velvet furniture and glass orbs (of which you’ll see many around the hotel). 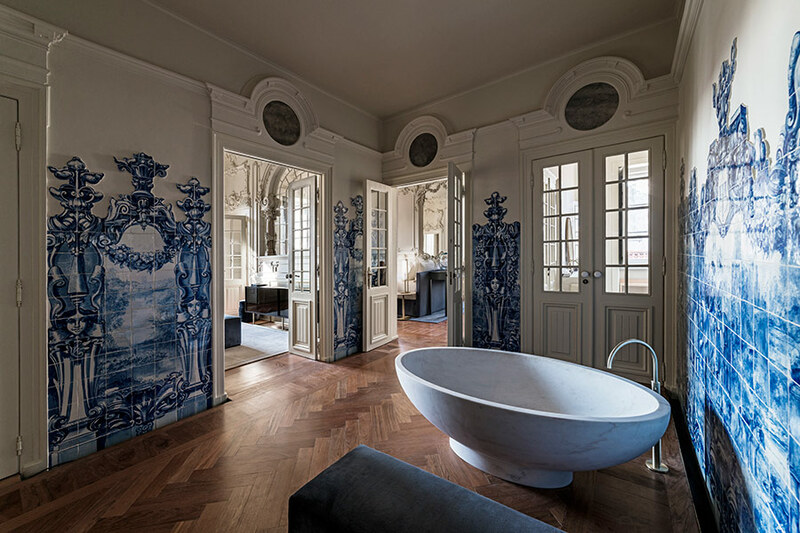 A free-standing soaking tub with a view of the Tagus River was one of the room’s most outstanding features. The Queen’s and King’s Suites are the hotel’s crowning achievement, showcasing original decorative details like Rococo-style molding, hand-painted 18th-century Portuguese tiles, and intricately carved wood paneling. 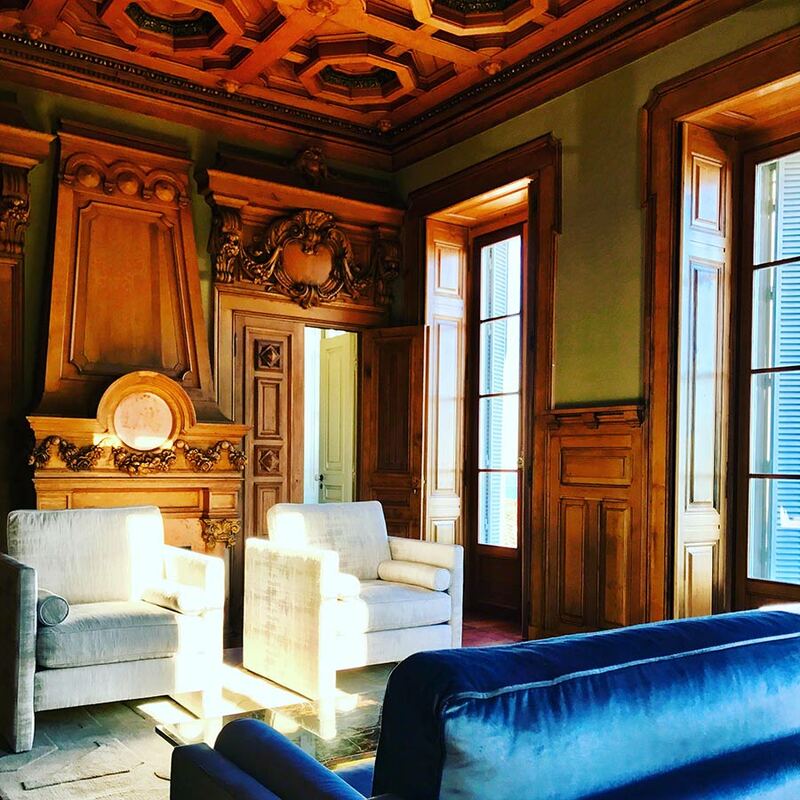 A small taste of what it might have been like to live in one of Portugal’s many opulent palaces. 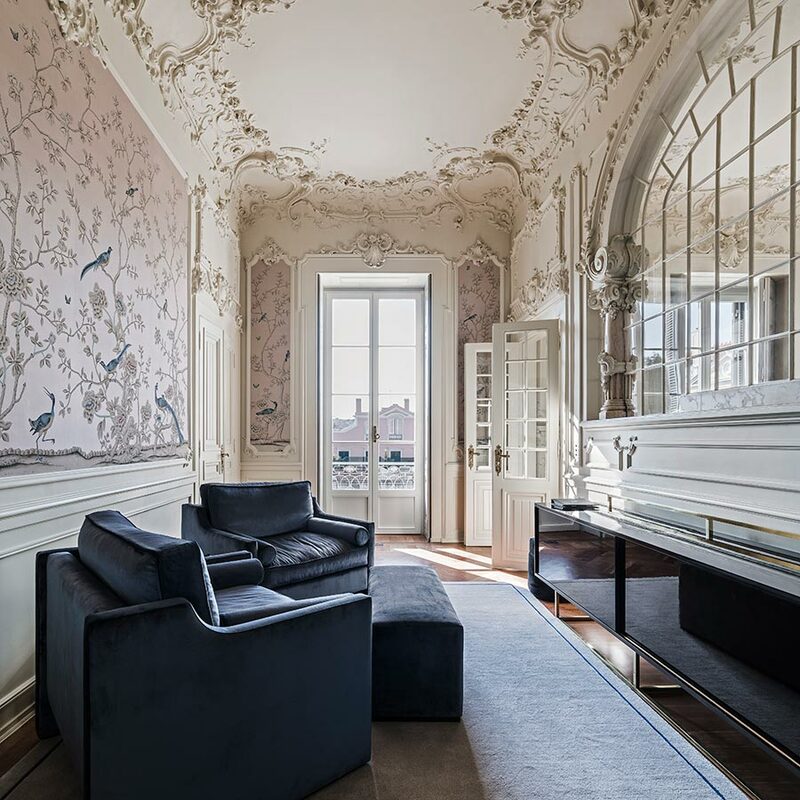 Modern touches included custom de Gournay wallpaper and contemporary furniture. The two can be connected with an additional room to create an extravagant two-bedroom suite. The three restaurants weren’t open when I visited, but all sound promising. Guests will have access to the breakfast room, where made-to-order dishes are served at a communal table in a room with french doors that open onto an outdoor patio with a plunge pool. 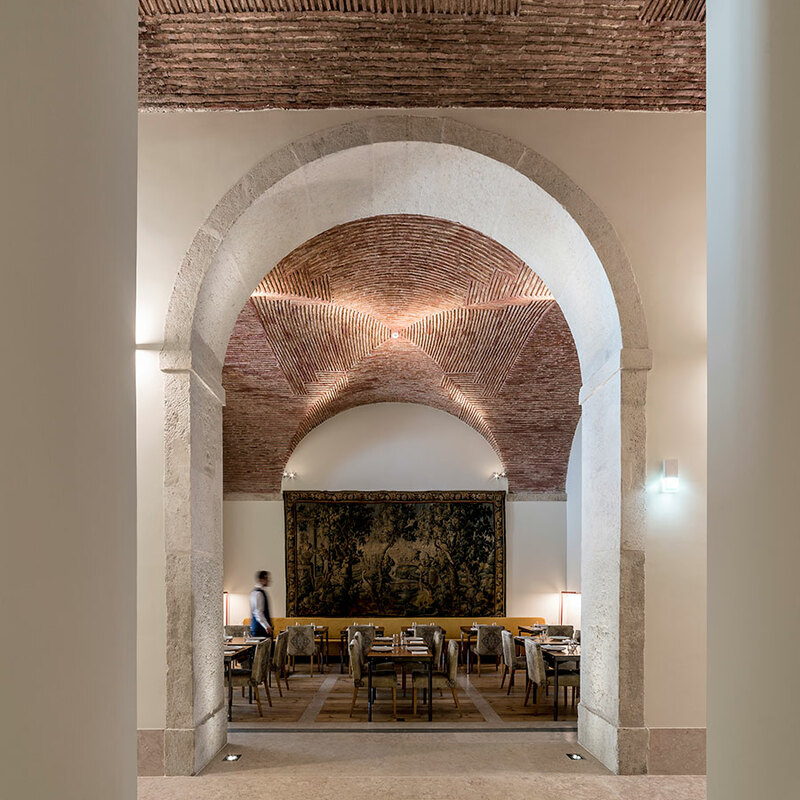 The subterranean Criatura, which has the most incredible rust-colored vaulted ceilings, will be open to everyone and offer a fresh take on traditional Portuguese cuisine with a focus on dishes that can be shared and passed around the table. 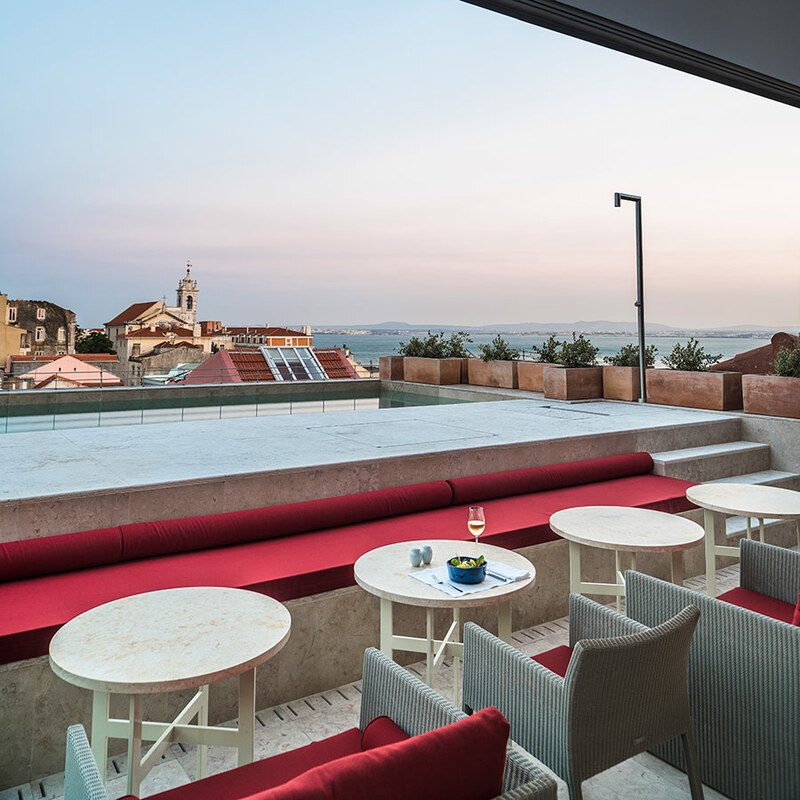 The gastro-style Suba, also open to non-guests, has incredible views of the city and will feature contemporary Portuguese cuisine. But, enough about the details, it’s time for you to take a look yourself. Rates from €350 per night .Make a reservation at Verride Palacio Santa Catarina. The 18th-century palacio's stunning exterior. 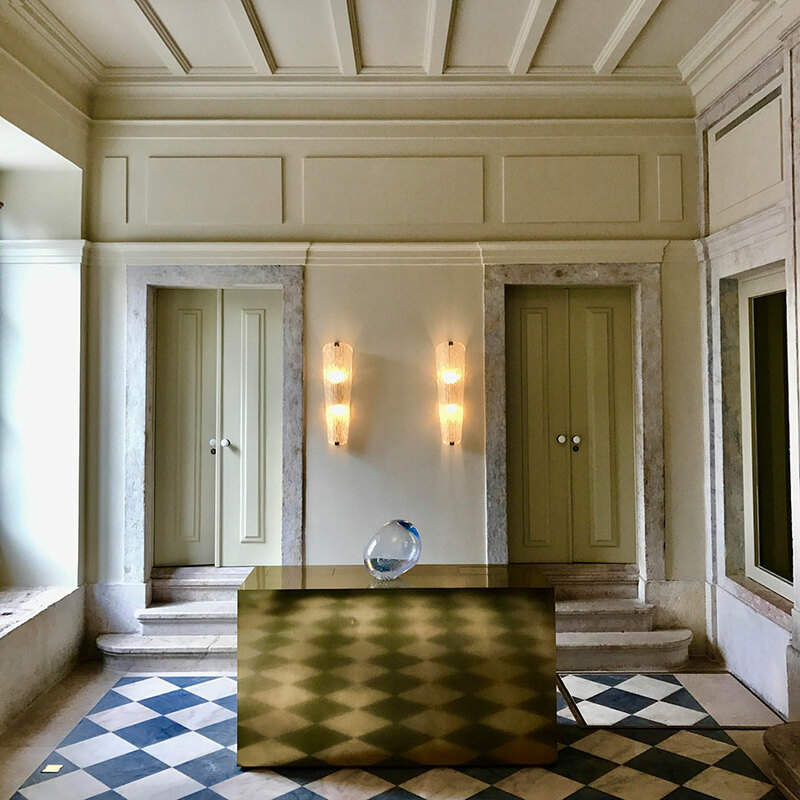 A bronze check-in desk showcases one of the hotel's signature glass orbs by Claudio Buarque. The Arch Suite features one of the building's original arches. 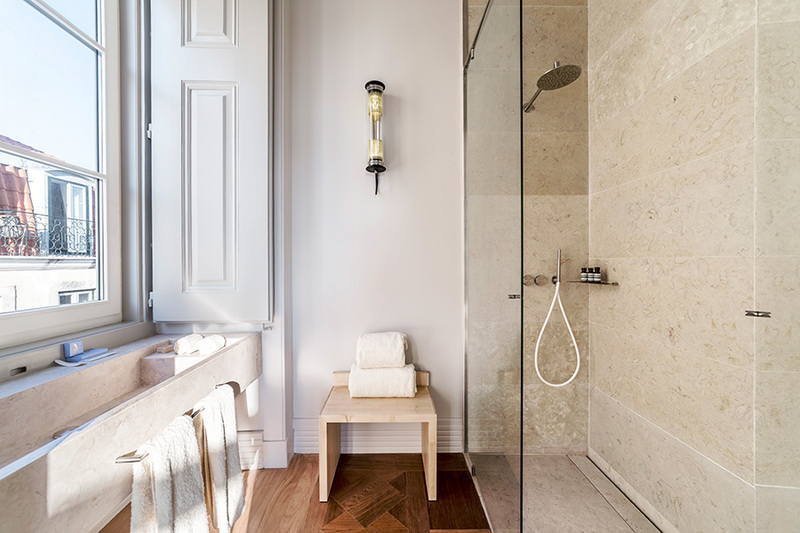 The Arch Suite's wood and marble-clad bathroom. The Yellow Room is available to guests or can be used to connect the two Royal Suites. Custom de Gournay wallpaper in the Queen's Suite sitting room. The palacio’s original Rococo-style molding can be seen in the Queen's Suite. An oversized soaking tub surrounded by hand-painted 18th-century tiles in the Queen’s Suite. Exquisite original wood paneling in King’s Suite. The breakfast room opens onto the winter garden and plunge pool. The soon-to-be open Criatura will offer a fresh take on traditional Portuguese cuisine with a focus on dishes that can be shared and passed around the table. 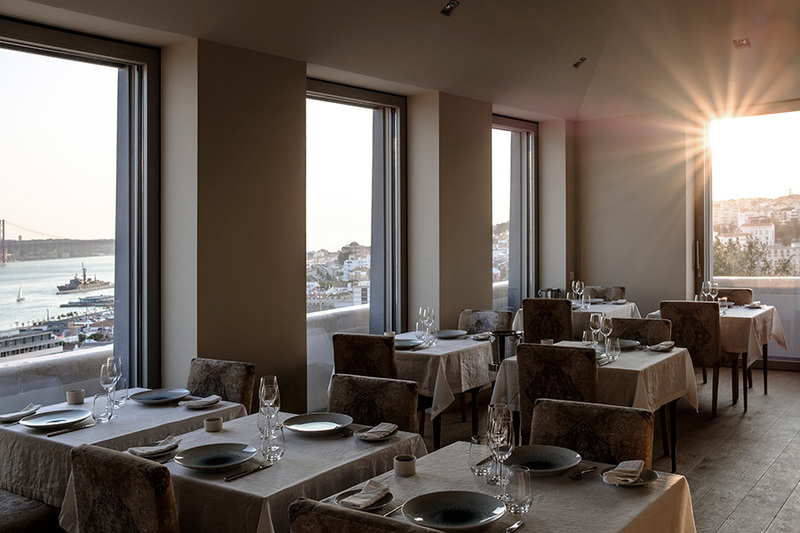 In addition to one of the best views in Lisbon, guests will find contemporary Portuguese cuisine that uses sophisticated flavors in imaginative ways at Suba. 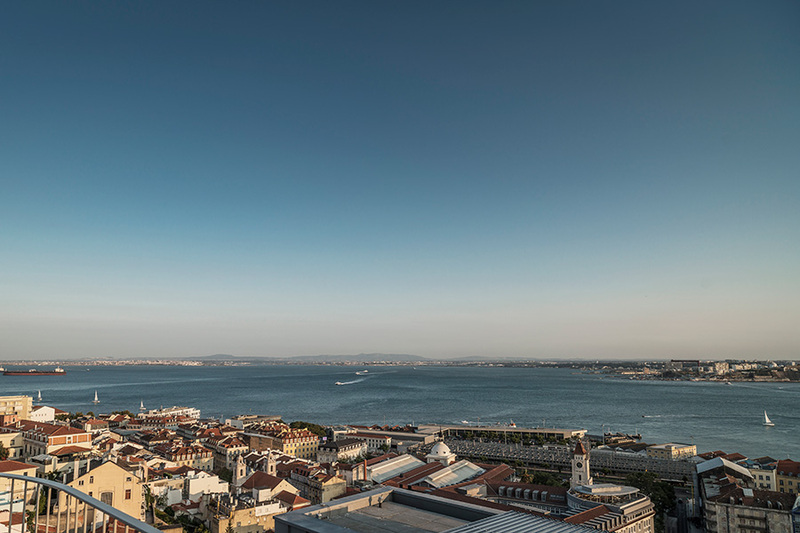 Unobstructed views of the Tagus River.